Please Note: I have created these pages some 7 years after the holiday, so many of the notes are very brief. 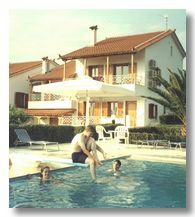 Also all the photos were taken by Ann with her 35mm camera & the prints scanned, hence the quality of the photos is not as good as with some of our other holidays. 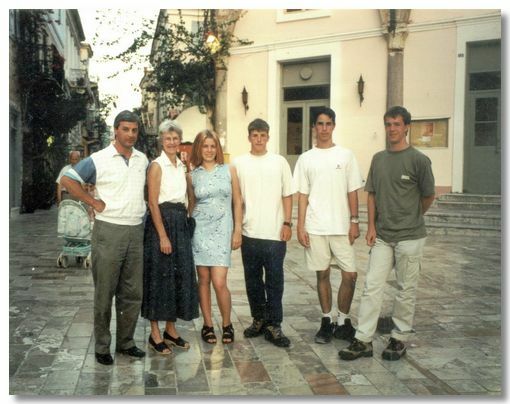 In July 2000, we had a memorable holiday in Greece with another family - Jo & her sons, John & Mark. 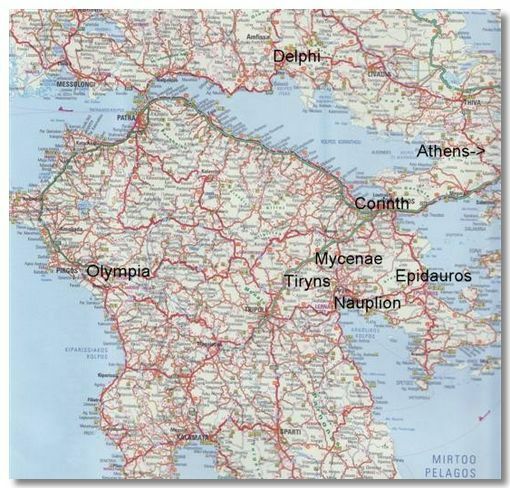 We rented the Villa Christina, set in a tiny village a little outside the old capital, Naplion in the Peloponnese. 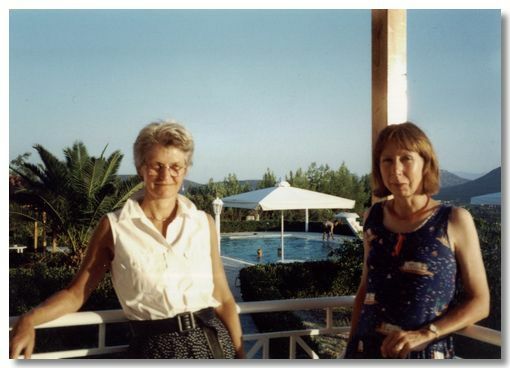 Jo & Ann on the balcony overlooking the villa's swimming pool. It was certainly needed. 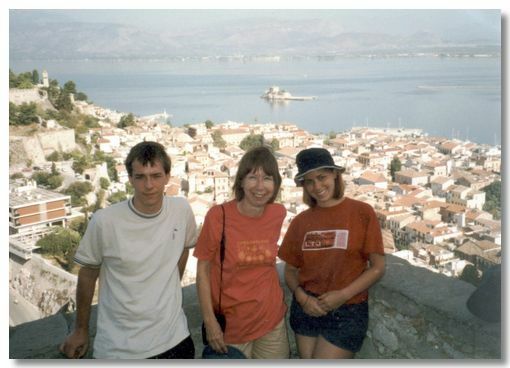 During our holiday, Greece was in the middle of a heat wave with temperatures climbing up to the mid 40's. The view from the balcony looking towards Naplion, with Eleanor in silhouette. 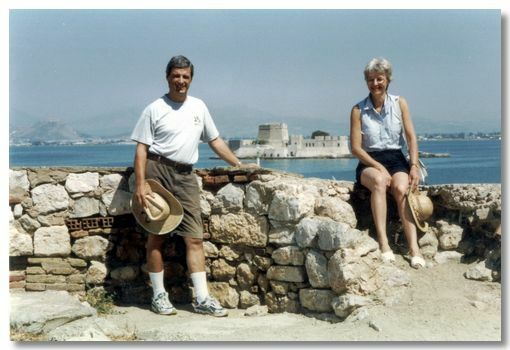 Jo & me in Naplion harbour overlooking the fortress island in the middle of the bay. 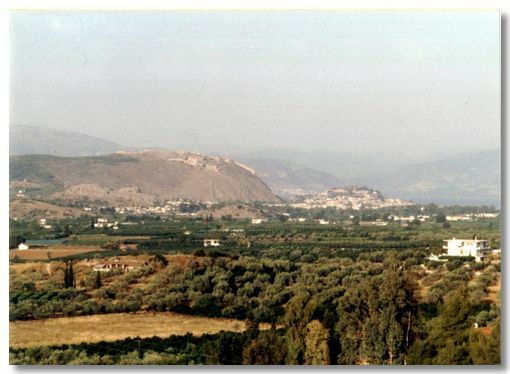 The view from the fort overlooking Naplion bay with the same fortress island in the background, shown in the previous photo. 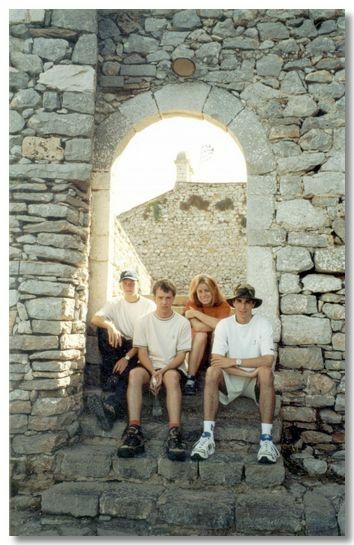 Mark, John, Eleanor & Ian in Palamidi fort.